Come watch this video and learn how to make a full Indian Meal fast. Chicken Korma, Shrikhand, Shrimp Tikka, Rice, and Indian Cabbage slaw. I did this whole thing on Facebook live, and it worked in under 30 minutes to get it all cooked or almost cooked (Chicken Korma took a bit longer). You may also want to check out the recipes for Homemade Ghee, and Garam Masala. You’ll learn about a few cool gadgets that I use which I’m listing here, as well as a few things like ginger garlic paste that I use for shortcuts. It’s not super beautiful, but it’s real, and it’s probably like how you cook. Just keeping it real over here, y’all 🙂 I hope you guys enjoy it. Here are all the gadgets and gizmos people asked about. 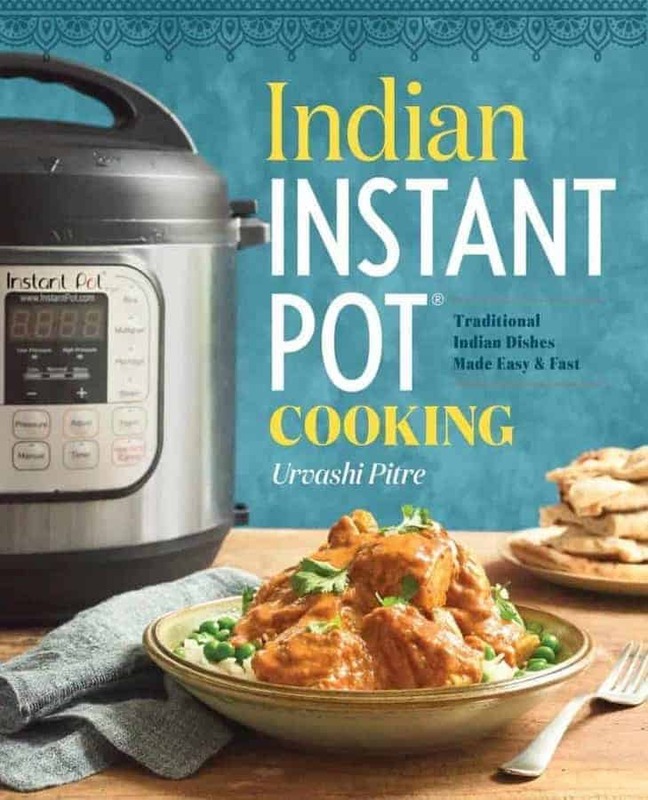 Hi Urvashi, I am struggling with whether or not I actually need to buy an instant pot. I have two slow cookers and love using them, I also love cooking on the stove top. Do you really feel an instant pot is that much better? Thank you! I made your chicken with red sauce last night and it was incredible. I did use the instant pot. I will admit I love mine. I do use it as a slow cooker occasionally but there are huge taste differences in pressure cooking versus slow cooking. The sauces tend to thicken and emulsify better under pressure in my view. That same chicken in red sauce in a slow cooker would taste less robust and more watery in a slow cooker.